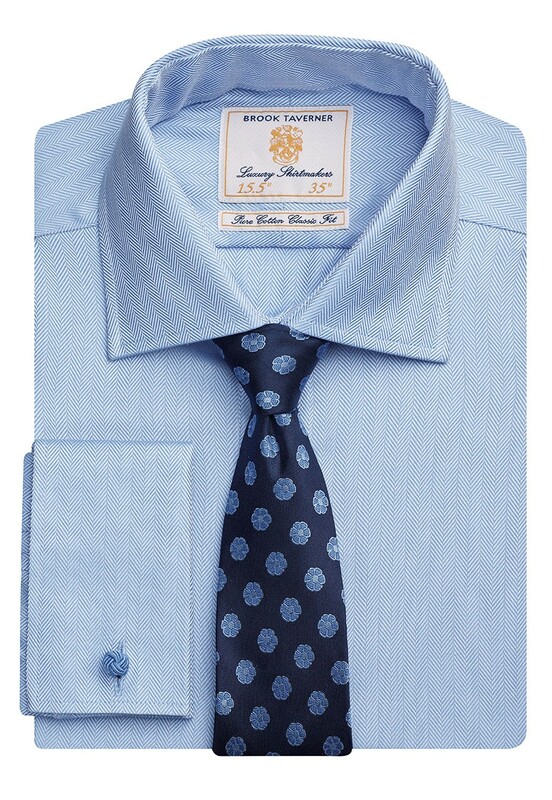 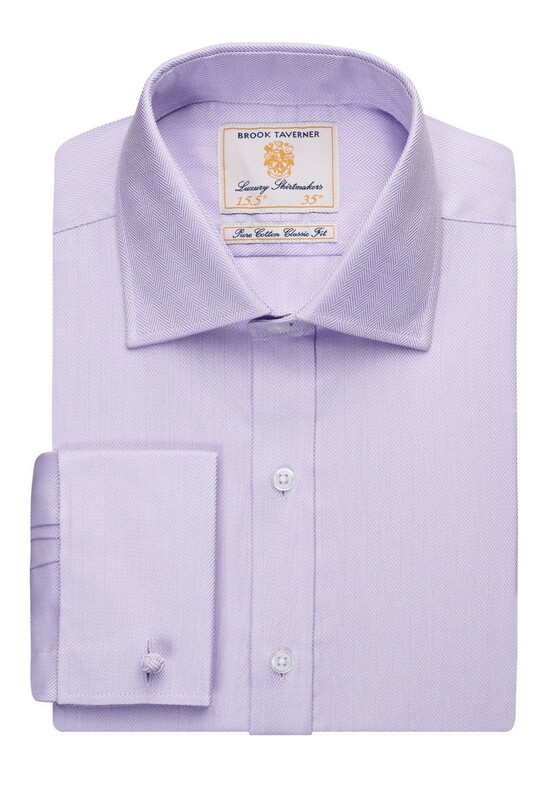 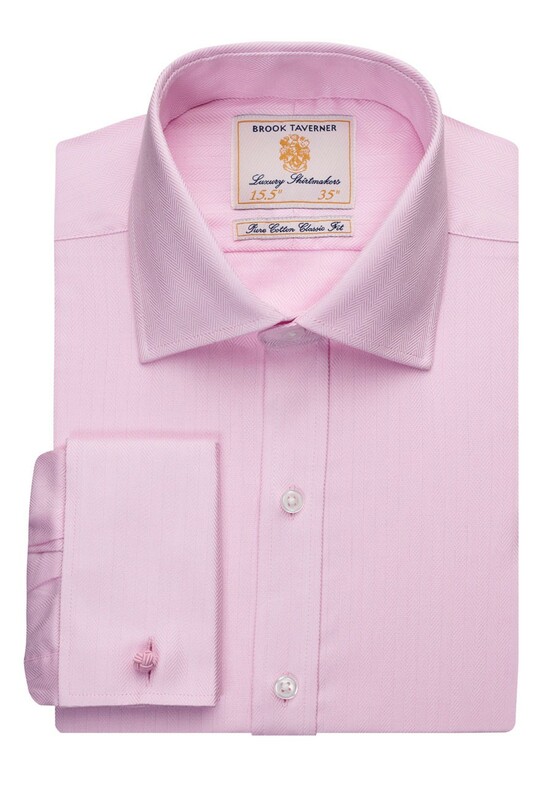 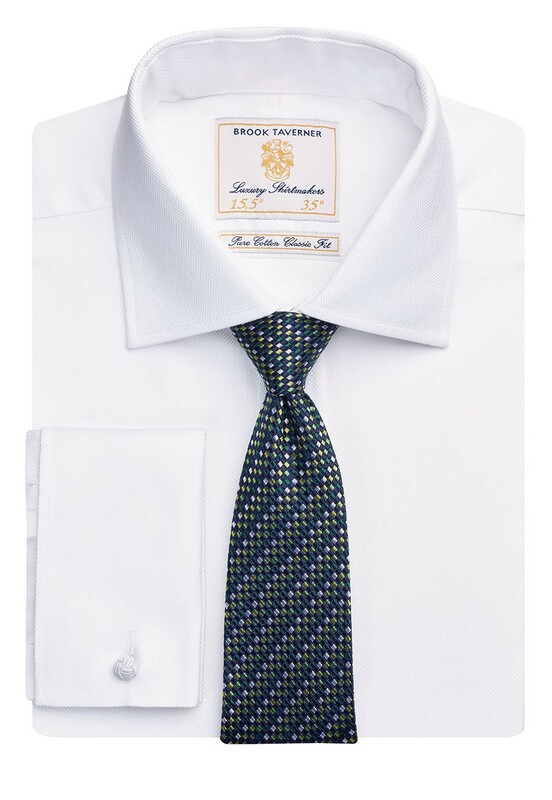 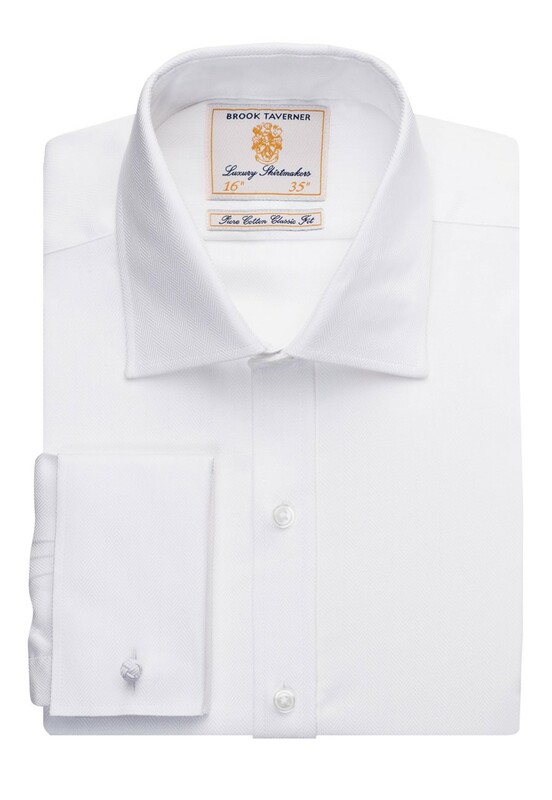 Tailored from a 100% superfine cotton, easy to iron fabric. 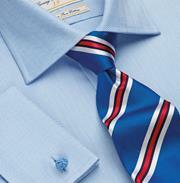 Removable metal collar stiffeners, taped seams. 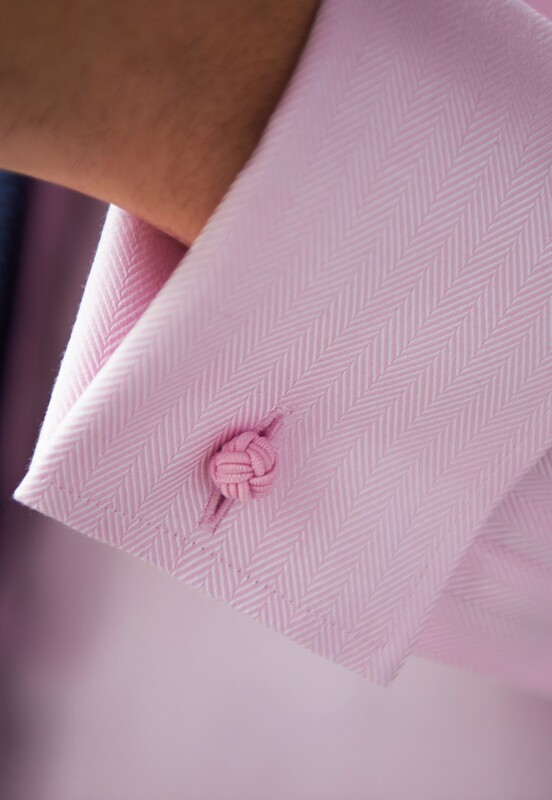 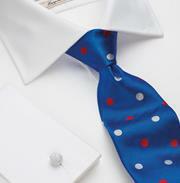 Complimentary silk cuff knots. 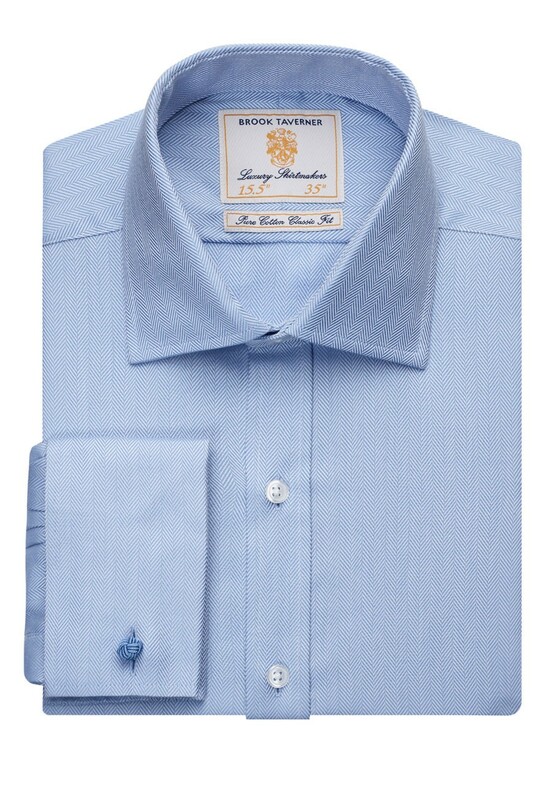 Extra long sleeve available in white herringbone and blue herringbone.